Padraig Harrington could be named 2020 European Ryder Cup captain on Tuesday, January 8. The European Tour has scheduled a Ryder Cup Press Conference that day at Wentworth Golf Club's at European Tour headquarters, with Harrington expected to be unveiled as Thomas Bjorn’s successor. Three-time major winner Harrington has been widely tipped to lead Europe at Whistling Straits in two years’ time, with Lee Westwood expected to take the job for the 2022 match in Rome. 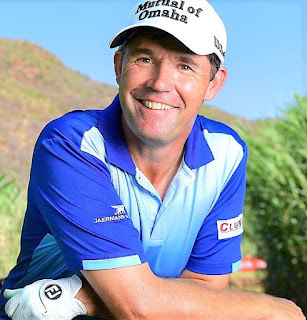 Harrington served as one of Bjorn’s five vice-captains in Europe’s 17.5-10.5 victory at Le Golf National last year along with Luke Donald, Robert Karlsson, Graeme McDowell and Westwood. The Dubliner made his third appearance as a vice-captain in France. He also served in the same role for Darren Clarke at Hazeltine in 2016, and for Paul McGinley in 2014. It’s part of the European Tour’s blueprint for success. Bjorn was also a three-time vice-captain before being named captain. Harrington will be 49 in 2020, which also fits the European’s Tour’s unwritten rule of selecting captains under the age of 50. The European Tour’s tournament committee agreed on the under 50 criteria after Sir Nick Faldo’s disastrous 2008 captaincy at Valhalla. Harrington played in six straight Ryder Cups between 1999 and 2010, appearing on winning teams in 2002, 2004, 2006 and 2010. He holds a 9-13-3 won/lost/halved record.